With the final showdown being just two weeks away, it truly is a fight to the top for the last remaining contestants. What started out as a nationwide talent search for the country’s next Idol has now come down to just four hopefuls. First on the list is the crowd favourite, Pretoria-born 21-year-old Botlhale, who has managed to keep his name on the list of fan favourites since the top 16. 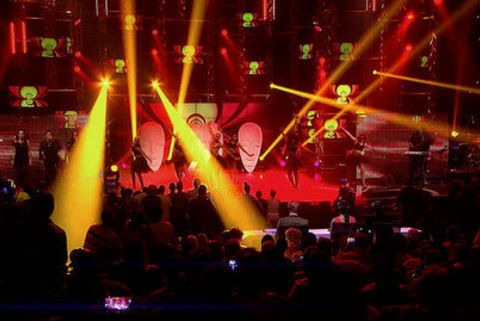 Next on the list is Durbanite Phindi, who, based on the judges’ commentary, gave a soulful rendition of Afro-pop singer Ringo’s Sondela, and he was followed by 17-year-old Cape Town pop sensation Paxton, who received a standing ovation for her rendition of Christina Aguilera’s I Turn To You. Fighting for the spot in the top four was Mthokozisi from Durban, who eventually received his pastor’s blessing after the pastor admitted to not have been fully behind him from the beginning. With the final show being just two weeks away, it truly is a fight to the top for the last remaining contestants.